The disposal of food waste may not seem like a huge problem; most of us scrape the leftovers from our meals into our refuse sacks and let it fester there for a week until the next council waste disposal lorry comes to town. The plates then go into the sink where we wash off the smaller fragments that didn't make it into the bin, and then drain the water down the plug hole. Next we either perform the disgusting task of retrieving the food trapped in the plug hole and empty it into the bin, or we simply push it down the plughole where some of it will make its way to the sewage system, and some of it will get stuck in your drain pipe, until you have to call a plumber to sort out the blockage. Many of us go through some variation on this process on a daily basis and have done so for many years. But for all of our lives, since 1938, there has been an alternative which is clean, hygienic and makes the dreaded disposal of food waste something that we need no longer worry about. 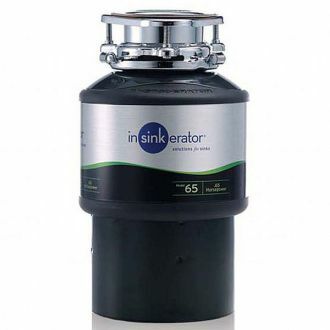 In 1938 John W. Hammes put the first waste disposal unit on to the American market, calling it the InSinkErator, a product and brand name that still thrives today, and represents quality and an affordable alternative to one of the more repulsive household chores. But this solution is not simply a domestic convenience. 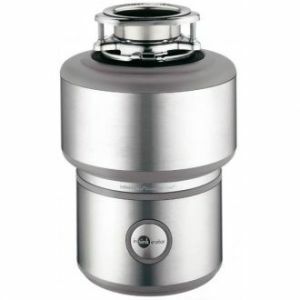 The positive effects on the environment that we would see if every household was fitted with an InSinkErator or Rangemaster waste disposal unit, would be worth a thousand times the relatively small price that you pay to buy one of these miracle machines. Stop food going into a landfill and producing potent greenhouse gases. Decrease the amount of waste your household leaves out for refuse collection. Allow food waste to be processed into fertilizer at sewage treatment plants. Enable food waste to be converted into energy in the form of collected bio-gas. If you find yourself asking, "How can I recycle?" or "How do I compost?" then the answer is right here. With the UK becoming increasingly green minded and environmentally conscious, many of us will want to install such a device in our own home. 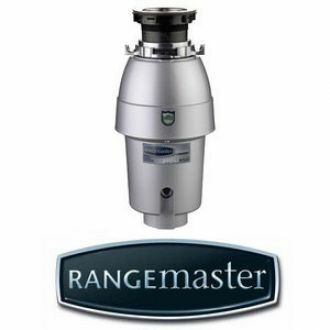 Both InSinkErator products and Rangemaster products have an impeccable reputation for quality and coupled with the incredible value-for-money that you have come to expect from MBD Bathrooms, why waste any more time? Start making a difference to your life and to the planet, today.